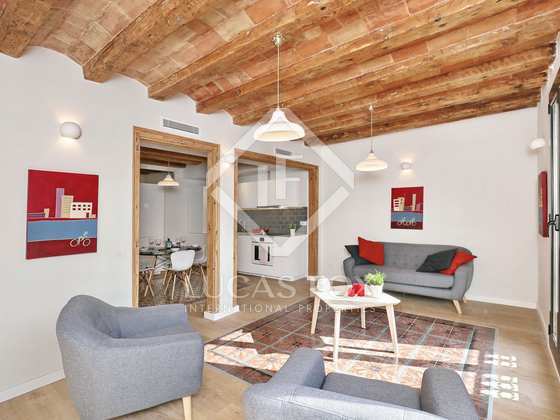 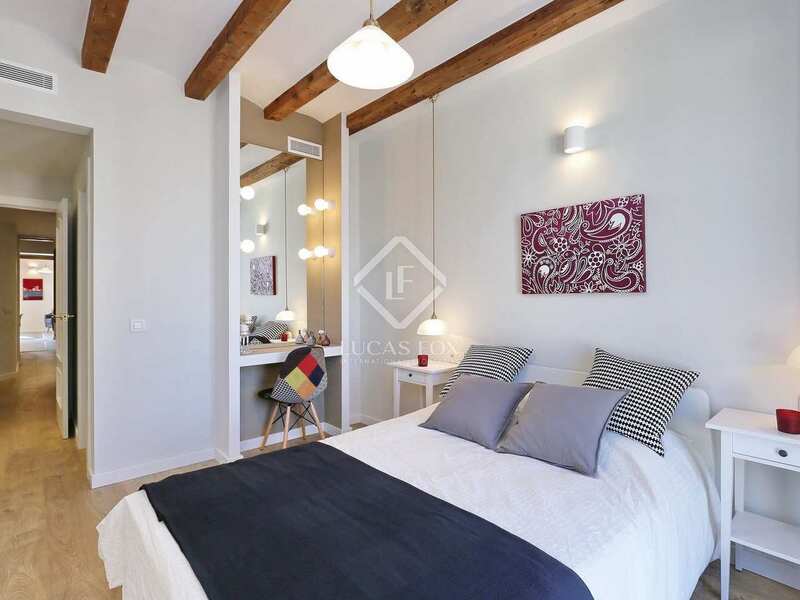 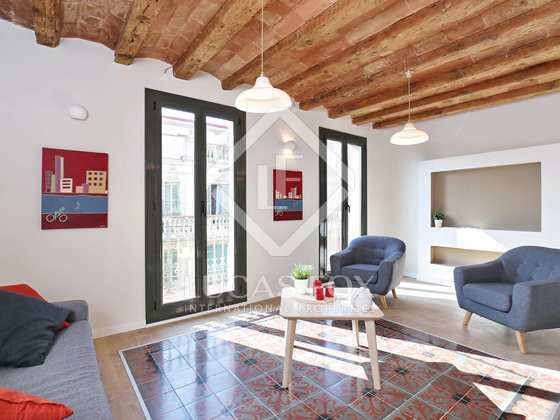 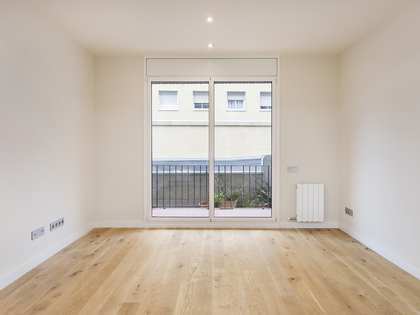 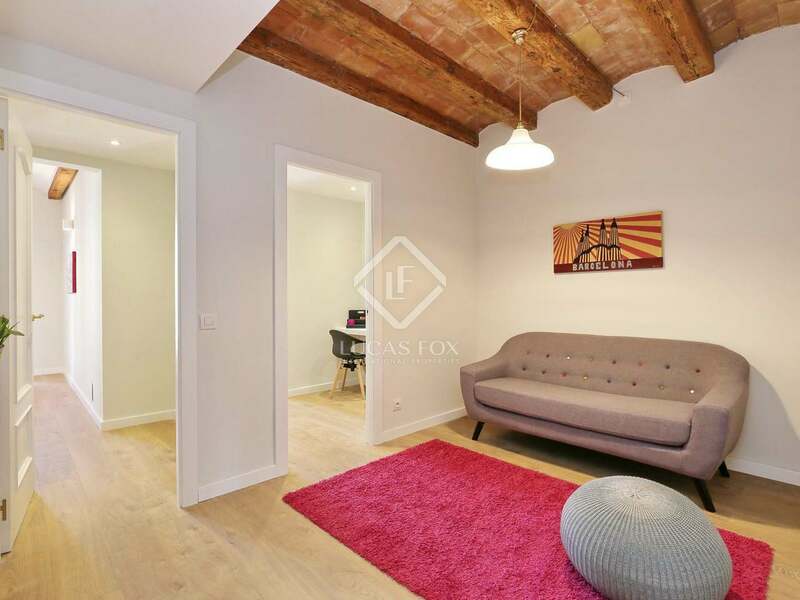 Fully renovated apartment, with abundant natural light, for sale in Poble Sec, close to Avinguda del Paral·lel and Montjuic. 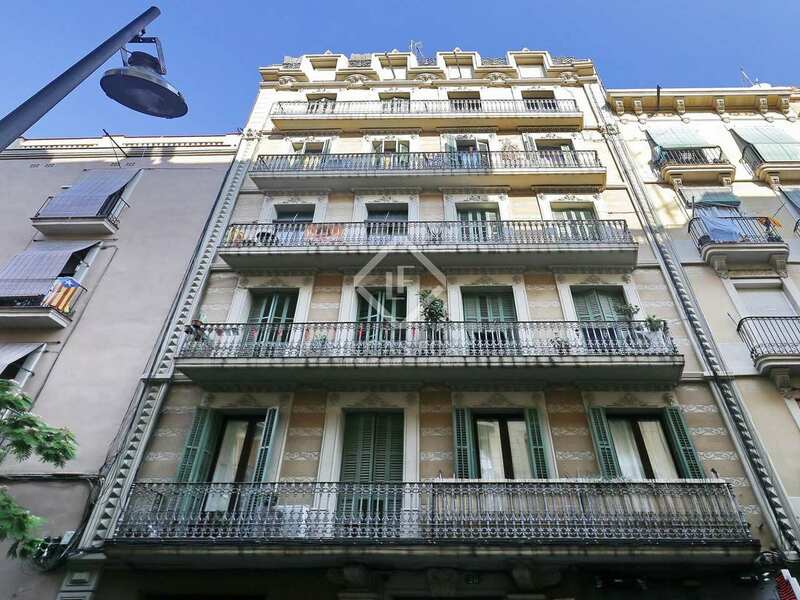 This 5th floor apartment is located in a building dating back to 1936 with a lift installed. 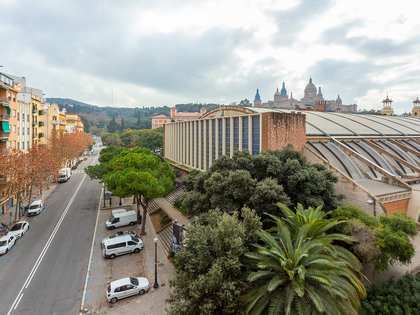 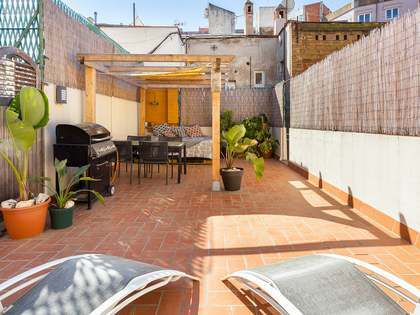 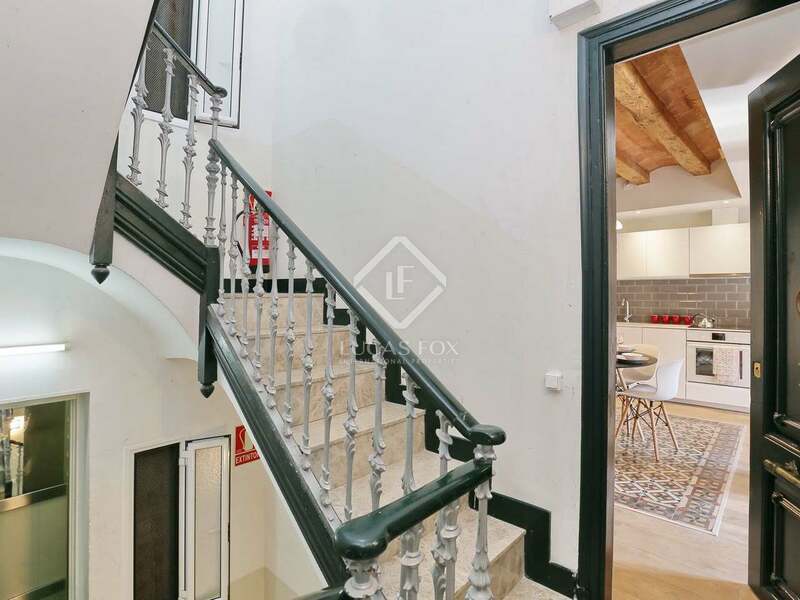 Close to Avinguda del Paral•lel in Barcelona's popular Poble Sec neighbourhood, it is very easy to get around the city by both public and private transport. 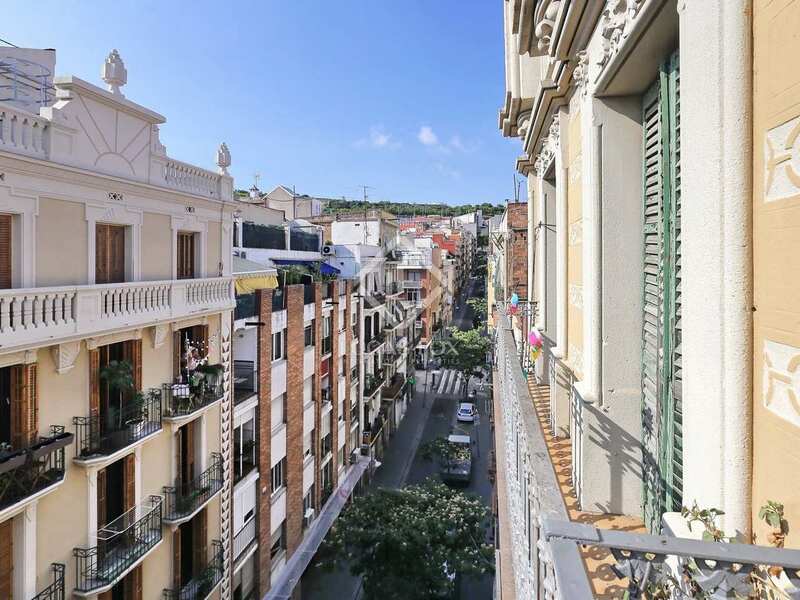 Fully renovated, the apartment is presented in excellent condition, ready to move into. 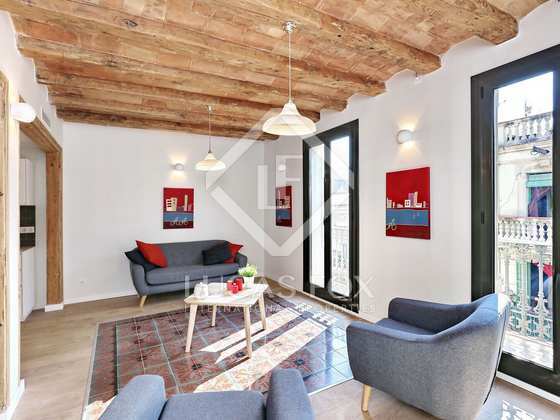 The spacious living area, opening onto a narrow balcony, receives an abundance of natural light and, with the traditional Catalan vaulted ceiling, exposed beams and tiled flooring, it has plenty of character. 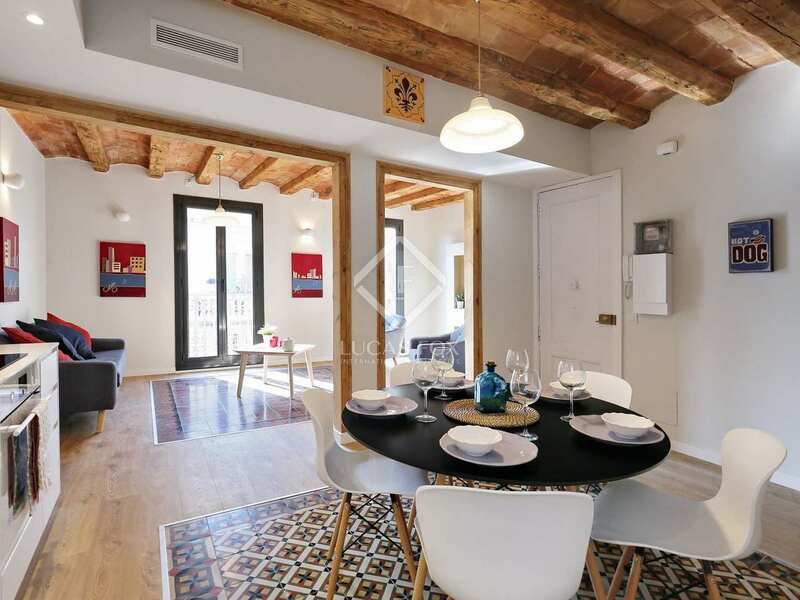 The open kitchen-diner is modern and well equipped. 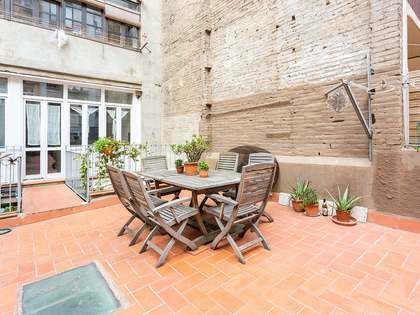 This apartment has 3 double bedrooms, 2 of which have access to a balcony-terrace overlooking the courtyard, 2 bathrooms and a toilet. 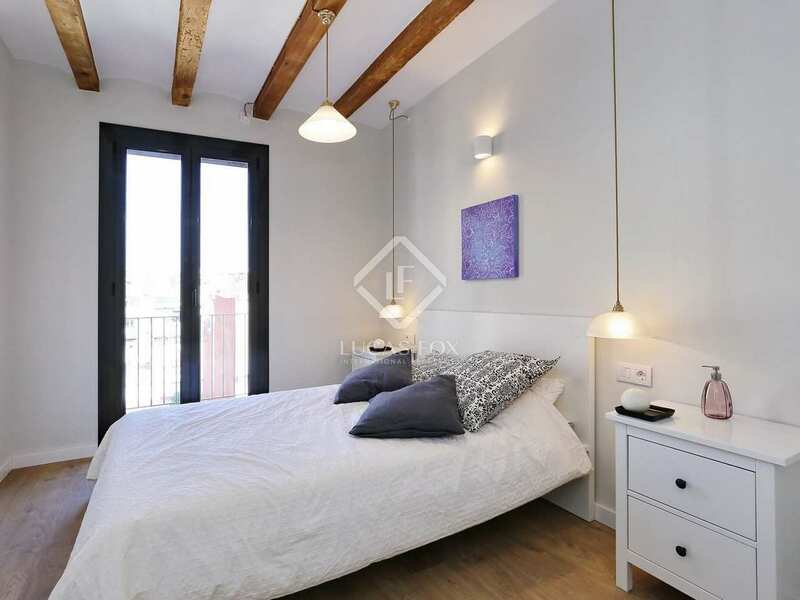 One of the bedrooms also has an area for studying. 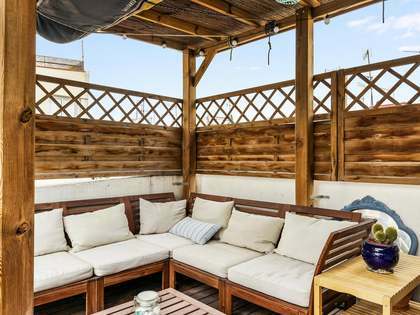 The property has air conditioning and heating to ensure year-round comfort. 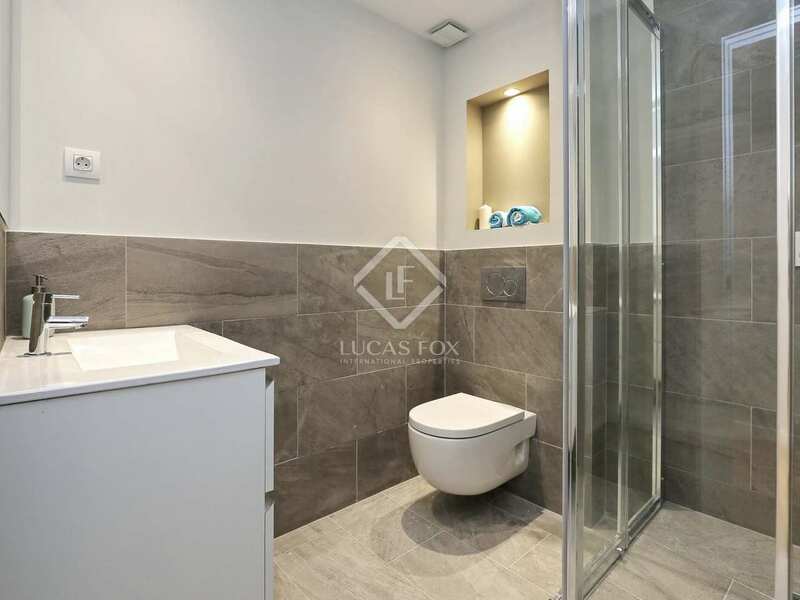 An excellent city centre option for those seeking a modern yet charming apartment with excellent connections to the rest of the city. 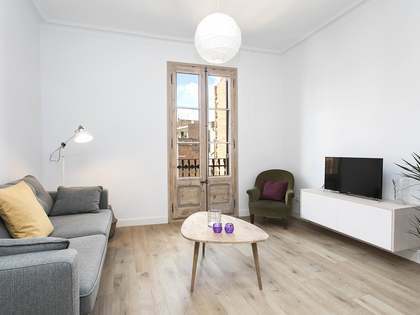 Apartment located close Avinguda del Paral·lel and Montjuic in Barcelona's Poble Sec. 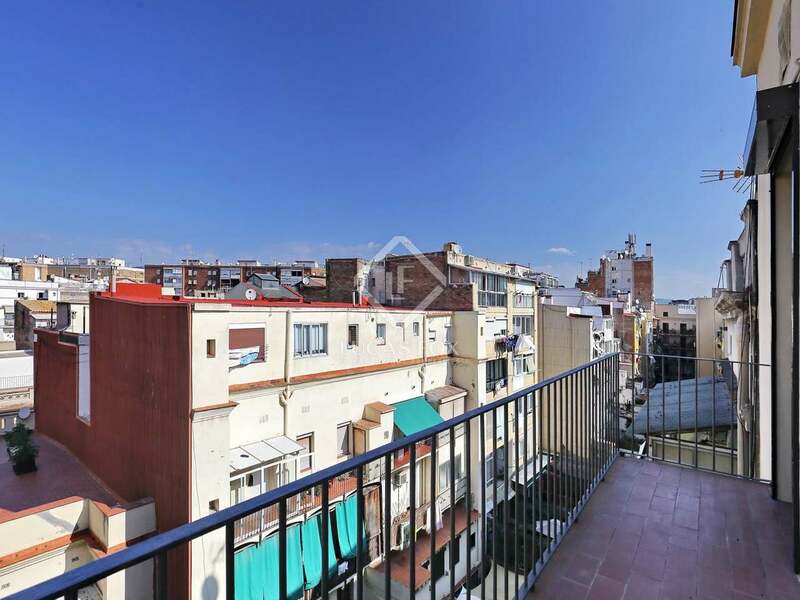 This neighbourhood is a popular choice due to its excellent connections to the rest of the city as well as the wide variety of shops, services, restaurants and bars.